This is one of those Spanish lessons that gets less and less important as smartphones get cleverer at giving directions. But there may still come a time where you need to receive or give directions to another person (maybe their phone is out of battery?) so you need to know how to do it. 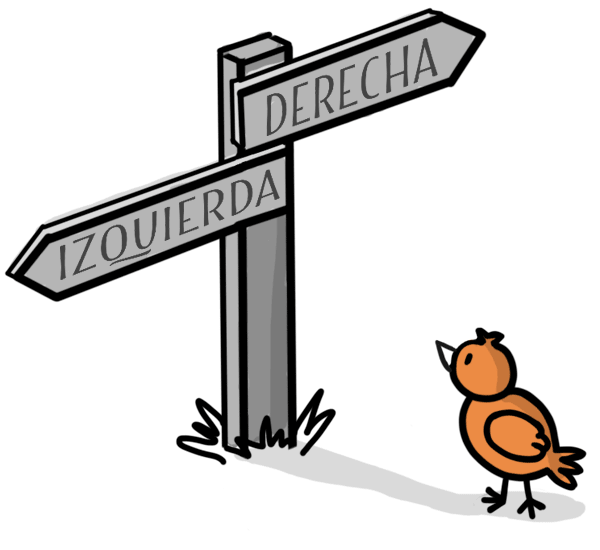 We've already covered how to ask where something is using "¿Dónde está...?" for specific places, and "¿Dónde hay...?" for less specific places. For instance if you were looking for the Museum of Natural History, or a particular street, you'd use está because you're looking for a specific place. ¿Dónde está el Museo de Ciencias Naturales? Where is the Museum of Natural History? ¿Dónde está la Avenida San Martín? Where is San Martin Avenue? But if you were looking for a drug store/pharmacy, you'd use hay, because you're not looking for a specific one. Just any old one will do. Once you've got your está and your hay situation sorted, here are some of the responses you might hear in Spanish. I've highlighted some important prepositions that you should definitely tuck into your vocabulary toolbox. These will come in handy! Other times people might need to give you more specific directions, so they'll tell you to "walk two blocks", "turn left", or "continue on for half a mile..."
So make sure you brush up on some of these verbs you might hear.